I had a client ask for some help with her master bedroom. 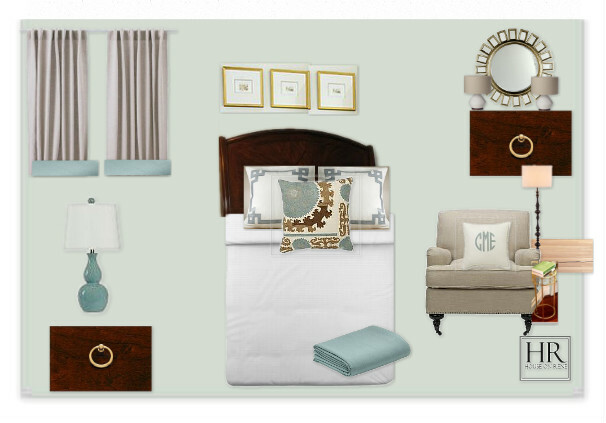 I worked on their room keeping what they already had (bed, nightstand, dresser, paint color). The room is beautiful with tall ceilings and crown molding they just needed help pulling it all together. Here was the first board. Although the board shows gold and champagne metals I sent her a link to champgane spray paint if she wanted to make all of her metals the same. The beauty of having a design board is really whatever you want it to be. You can take the suggestions I have done and go and get each item, or use at a starting point to go out and make it your own! 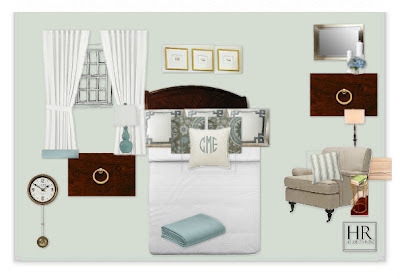 Interested in a design board? Please see my services page. I love all three design boards. What a calming retreat you have created for your client!